House Plans | Southern Integrity Enterprises, Inc.
We have over 25 years experience in Florida Conceptual Residential Design. We have provided design concepts from small room additions, detached buildings, and new homes up to 15,000 s.f. 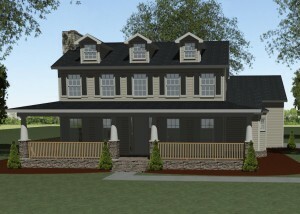 We have many models/examples to choose from or begin from scratch with your dream concept. 3D design is the way of the future! See your dream project in color perspective views! We are in the process of adding new models all the time. Currently we are adding many that have been drawn in 2D CAD. These will be black line drawings with no color, but can be input into our 3D software if you are interested in one of these models. Click Here for sample sets of construction documents. 0-1499 Sq. Ft. 1500-1999 Sq. Ft. 2000-2499 Sq. Ft.
2500-2999 Sq. Ft. 3000-3499 Sq. Ft. 3500-3999 Sq. Ft.
4000-4499 Sq. Ft. 4500-4999 Sq. Ft. 5000-5999 Sq. Ft.
Click Here to see a Walk-thru. Let us know which model you are interested in & we can prepare a quote for you to purchase that base model. Models drawn in 2D CAD will be input into our 3D software. We will prepare an estimate for you based on an hourly rate to prepare the 3D model for you. Revisions can then be made to that model based on an hourly rate. We no longer prepare plans using 2D CAD as our new 3D software is more efficient & provides much more visual effect. This also reduces the chance for errors. 3. Revisions made to conceptual designs after you review and submit your comments. 6. Submit for permitting & BUILD!